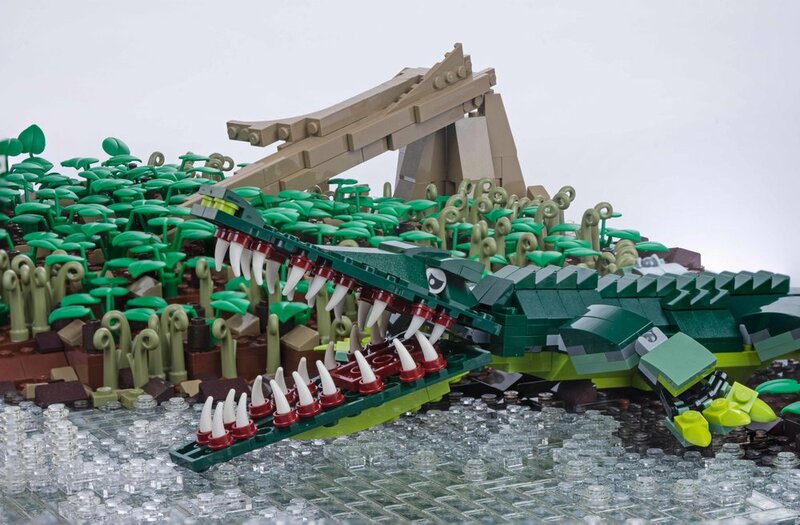 Brick Dinos was launched in 2017 featuring dinosaurs and other prehistoric creatures built entirely out of LEGO® bricks. 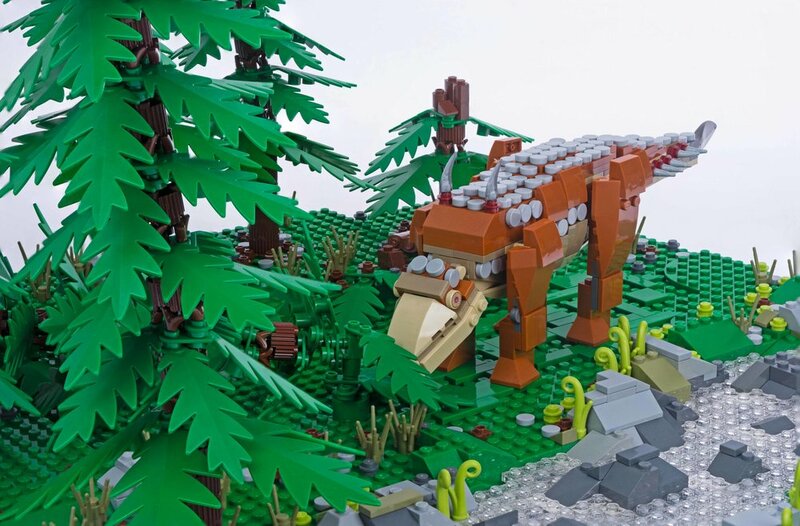 From tiny insects to a raptor-like masiakasaurus that’s four metres long, Brick Dinos was built in consultation with a leading palaeontologist to ensure that all models are as accurate as possible based on current knowledge. Building on this expertise, each model was designed by Warren Elsmore and his team and placed in a life like LEGO surrounding. Fun for all the family, whether you're a Dinosaur expert or just learning! Each custom-lit plinth features a recreation of a well-known dinosaur in context. Crocodile-like Sarcosuchus lurks in a Cretaceous swamp. Herds of Diplodocus graze a Jurassic forest. 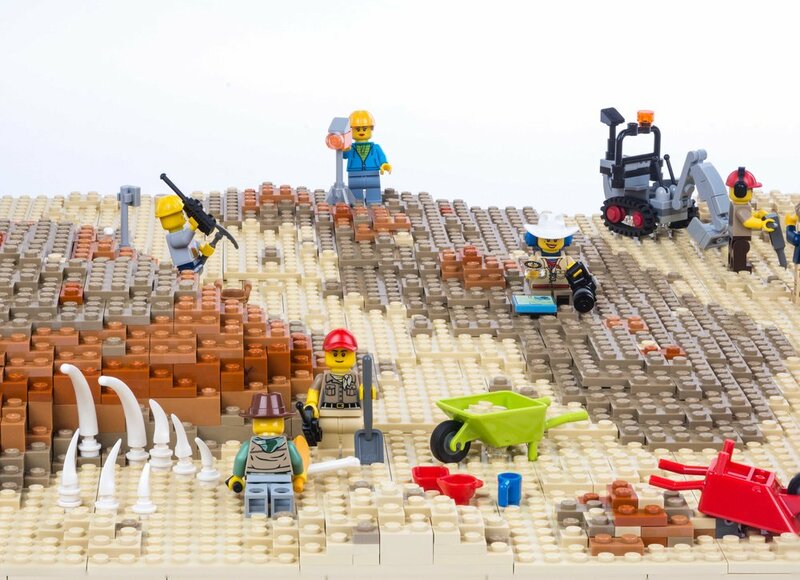 There are LEGO recreations of fossils, dinosaur skeletons in museums, and paleontological digs. A life-sized pterosaur hangs overhead, and the large models are brought to life with lighting effects and sound. Brick Dinos tours with a range of custom engagement activities for all ages. Build your own prehistoric beast and add it to the play dioramas. Dig for “fossilised” LEGO pieces. See how your footprint compares with a dinosaur’s. These and many more activities are included as a standard part of the tour, along with a “making of” video. 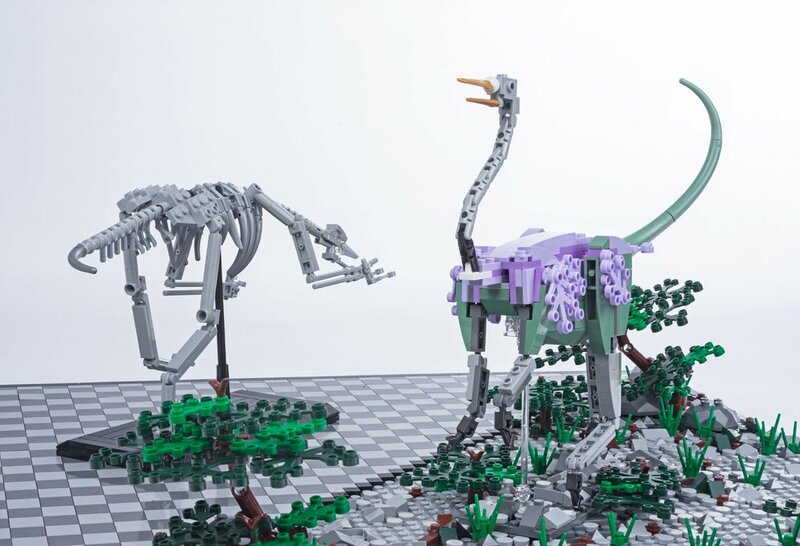 Brick Dinos is designed for larger venues, between 400 and 700 square metres, and works as both a stand-alone exhibition, and alongside natural history and archaeology collections. 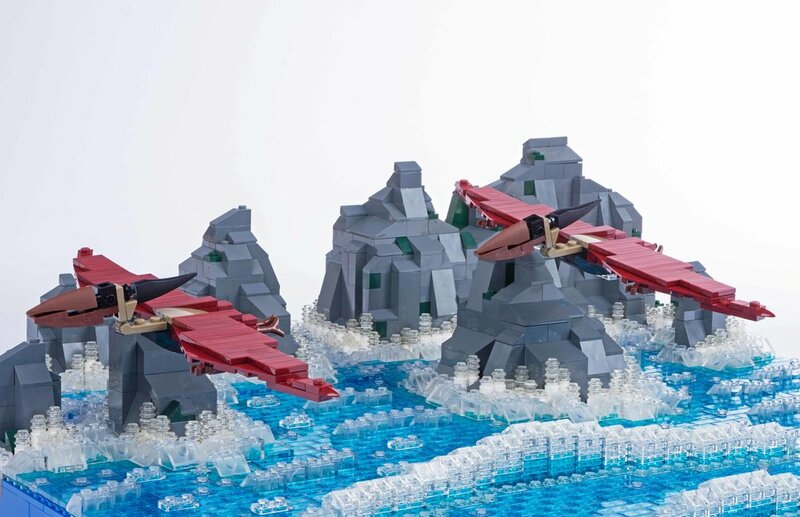 Many of the models are featured in Warren’s new Brick by Brick Dinosaurs book. which includes full instructions so you can build your favourite dinosaur at home. Future confirmed venues for our tours are shown below once publicity has been launched. 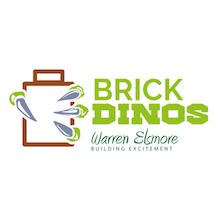 To inquire about booking Brick Dinos for your venue, please contact us.